Halloween only comes once a year, make sure you have your essentials covered. 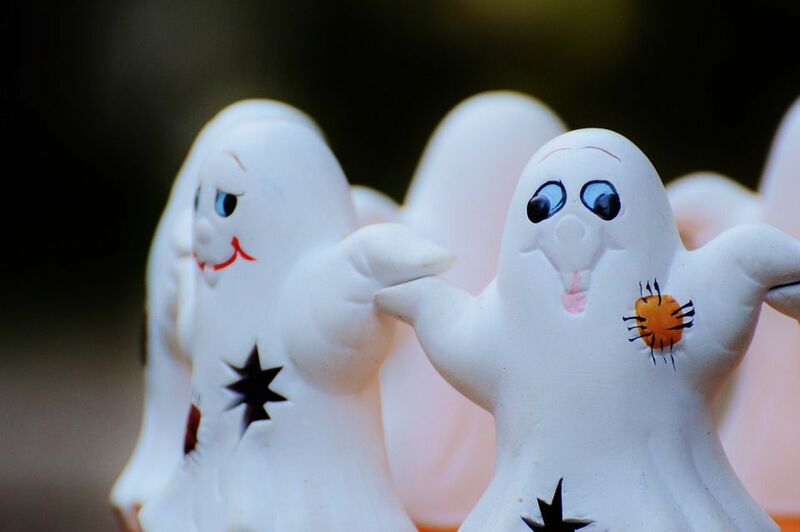 These easy party ideas for you and your kids will make sure this year goes off with a BOO! 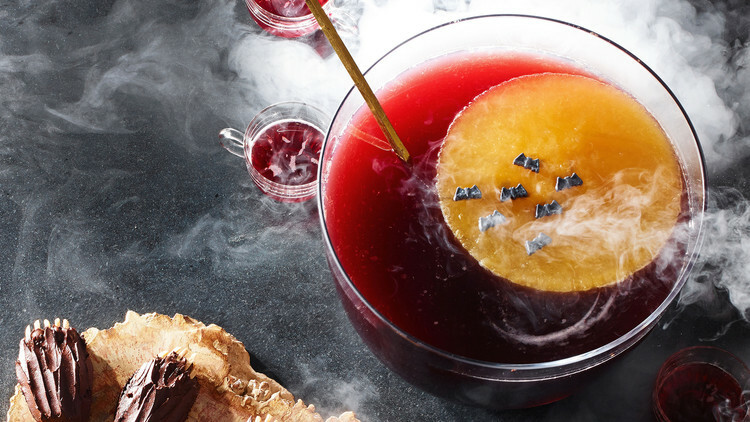 This easy festive punch is both kid and adult friendly. All ingredients are easily accessible at your neigbourhood grocer. Prepare in a bowl and let guests serve themselves. Fruity, flexible and abundant. Add an alcohol of your choice after the kids have had their share! It’s sure to be a hit. 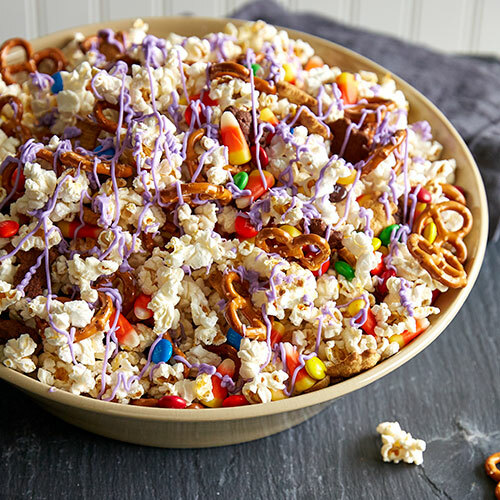 Popcorn is addictive–especially candy coated popcorn. Feed your crowd with Monster Munch Popcorn. Use a Halloween themed candy of your choice and a festive bowl to up the ante. It’s easy to prepare, personalize to your liking and equal parts delicious. 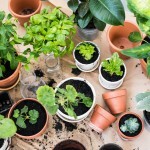 Your kids will also like helping you make it! Guests can nibble as they please. What more could you ask for? Halloween may be the spookiest holiday of the year–but it’s also the sweetest. 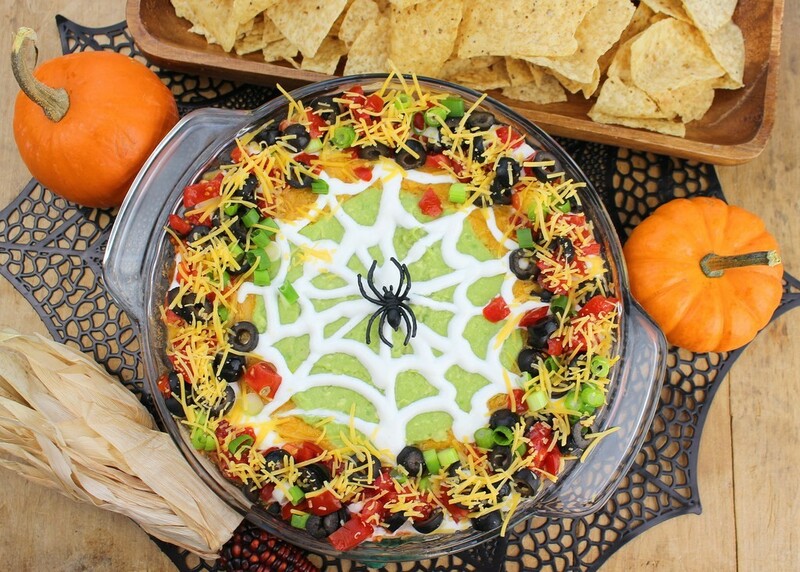 This Crawling Nachos dip is Fantastic! Your holiday party doesn’t have to be jam packed with candy. This nacho dip can be as naughty or healthy as you like. Prepare the night before or morning of to free up time. 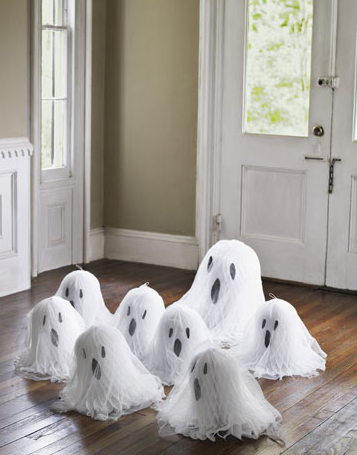 Haunt your house with this adorable family of ghosts made from paper wedding bells. Your kids will love to make them. They only take 4 materials and less than 15 minutes to make. They’re easy to make and fold up for next year’s ghostly gala. This classic carnival game doubles as a creepy craft! Collect tin cans then paint a few empty cans white and then paint black eyes and mouths onto them before your party. Arrange the tin can ghosts on a tabletop. Have kids stand behind a line a few feet away from the table and toss a beanbag or softball to try and knock over the ghosts. Get your kids eat some fruit on the most candy filled day of the year. At least one piece! 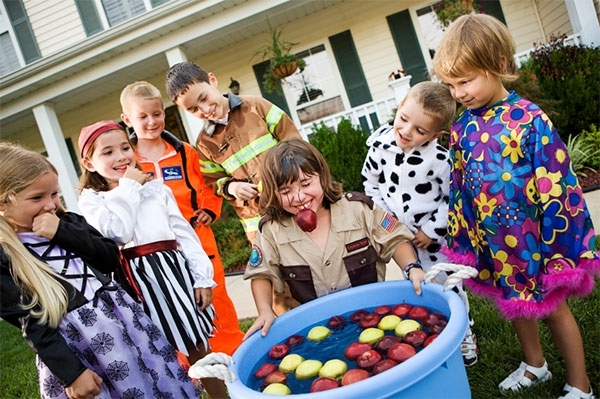 Classic apple bobbing is always a hit and it’s harder than it looks. Who knows, maybe the adults will want to try it out. Check out the link for several ways to mix the classic up for more fun. We hope you enjoyed these easy Halloween party ideas. Whatever you’re looking for this holiday whether it’s creepy or cute. Find flexibility by altering these ideas to fit your needs. The key is to keep your food and activities simple so you can also enjoy the night. Remember Halloween isn’t just for the kids. We hope you have a spooktacular evening!